Dear John: How do I quickly find the most optimal limit settings to get the highest output? 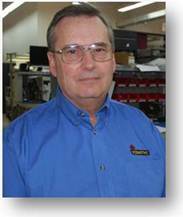 John Perkins is a manufacturing applications expert who has built hundreds of applications to help improve production and part quality. Send him your questions at dearjohn@sciemetric.com. I’m having a hard time finding the right limits for our test systems. Right now we keep adjusting them, trying to find what works best through trial and error. Is there a way to quickly find the optimal limit settings to get the highest output without affecting product quality? Finding the right test limits shouldn’t be a matter of guesswork, and yet I’ve visited so many companies where this is a huge bottleneck in their process. You have to start by looking at the test systems because really it’s a case of “garbage in, garbage out”. You need something to work with and you won’t be able to find a quick way to set limits unless the testers are collecting and storing the right information from the operation. To help customers optimize their test limits, I typically use a sigPOD process monitor, often just piggy-backing on the systems already on the line, paired with QualityWorX analysis software to determine stable limits while avoiding false rejects. Once the sigPOD PSV application is setup, it automatically captures feature scalar results and associated waveforms, then analyzes each feature while automatically calculating statistically based limits. Historically, this has been accomplished by taking the readings to an off-line spreadsheet, then manually calculating statistically correct limits.This is a cumbersome process that can easily take hours to complete. I used this exact solution for a component company, where it was taking them weeks to find the correct test limits for an automotive sensor - it even took them days to do a simple calibration. They needed to establish limits and key parameters, which would discriminate each of the different models in the event they got mixed up by mistake, resulting in critical problems at final vehicle assembly and post shipment. To quickly determine the best limits possible, I took all of the resulting scalar data and waveforms from the tests conducted and uploaded them into a QualityWorX database. This allowed me to simultaneously review hundreds of waveforms for the parts that were tested, and further explore the impact of test parameter and limit settings on the results. Within 30 minutes I found the correct processing algorithms with associated limits. This resulted in stable runtime limits and no false rejects. All in all, it took less than several hours, including the sigPOD PSV set up, to get the final result. The moral of the story is without having process waveforms to base your test limits on; guesswork will be the best you can do. With the right tools, you can save yourself a lot of time and frustration. This image is from QualityWorX and allows you to find the optimal test parameters that help you to easily identify the features to compare to find the best limit. Once the parameters are found the limit is easy to find. In this case the limit easily goes through both parts with no overlap; therefore each part is isolated and can easily be identified.